The Sony Xperia Z2 is getting its last minutes of fame thanks to a rather interesting promo video where it plays more of a background role. 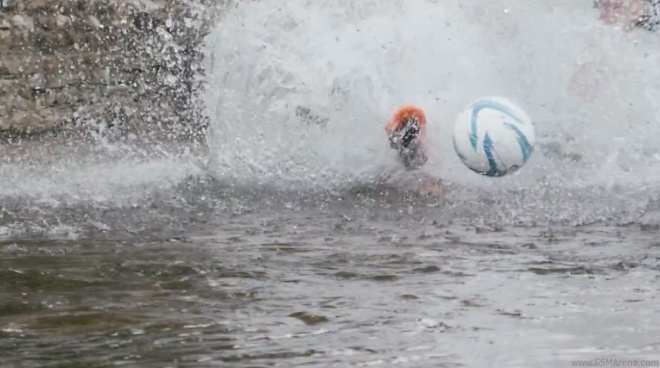 In its latest promo Sony is shining a light on UK Bourton-on-the-Water 100-year old river football tradition and throwing the Xperia Z2 in there to take photos and video of the event above and under the water. The river Windrush is home to a summer football game which sets up two teams in the shallow waters of the river and crowds gather on the bank around it. Players go about the game with a standard football and a referee is there to make sure things go by the rule book. One part entertaining, the video is also, naturally, a showcase for a phone that’s to be replaced in a couple days. At this week’s IFA expo, Sony will most likely bring us the Xperia Z3, Z3 Compact and Z3 Tablet Compact, and a SmartWatch 3 and SmartBand Talk. But let’s allow the Xperia Z2 to have its day – here goes the video. Some parts of it were filmed with the Xperia Z2 itself.